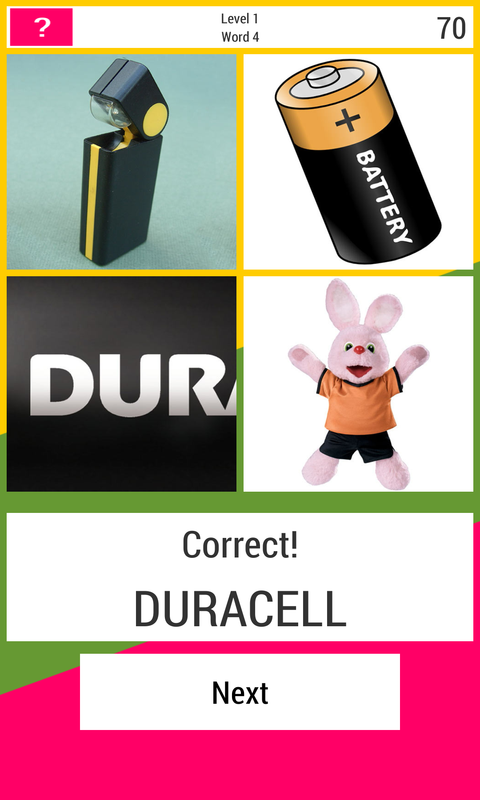 You think you know all popular brands? 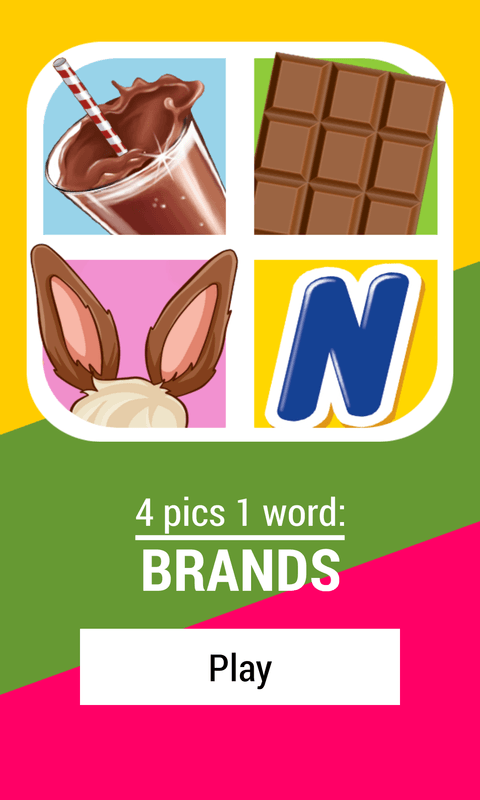 Let’s test your skills with this memory puzzle game - 4 Pics 1 Brand! 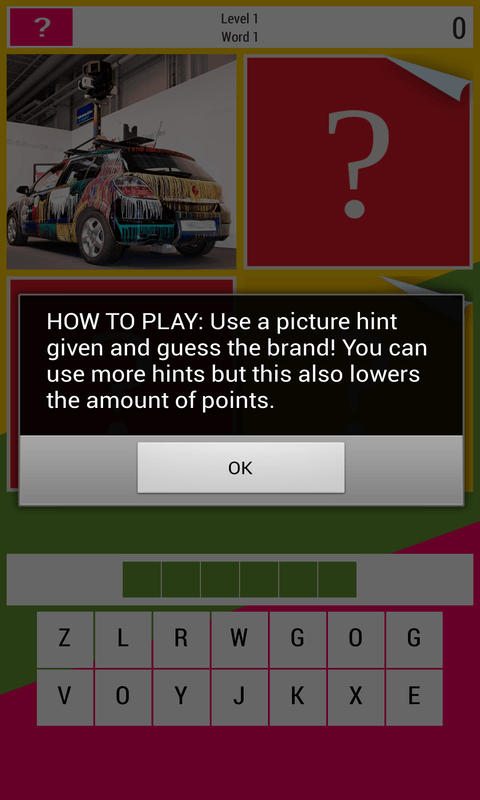 HOW TO PLAY: You see pictures associated with popular brands. 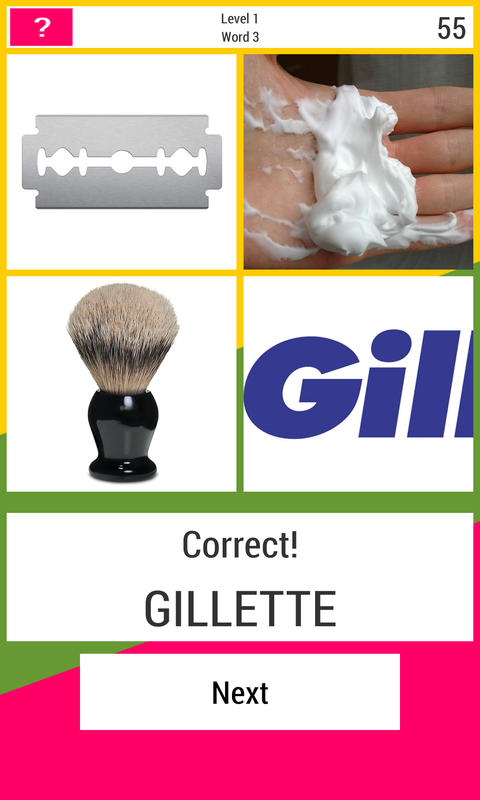 Guess which brand it is and drag the letters from the screen bottom to their places in the word. The number of “windows” you see is the number of letters in the needed answer. 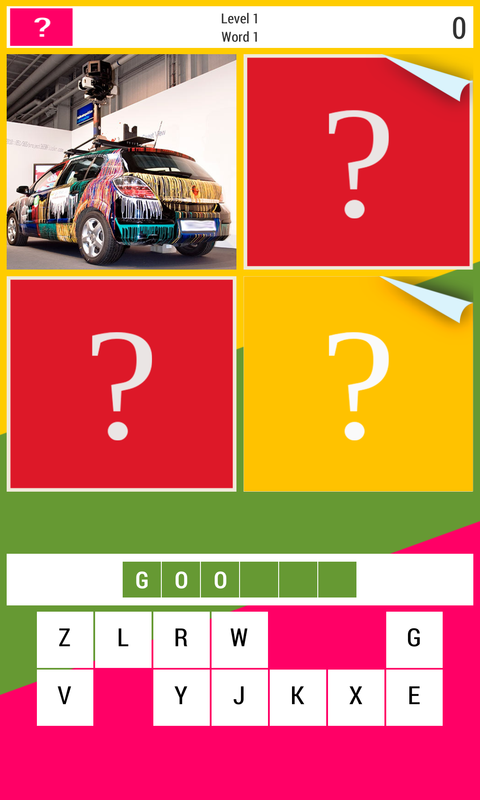 You can get up to 3 more pictures as hints. 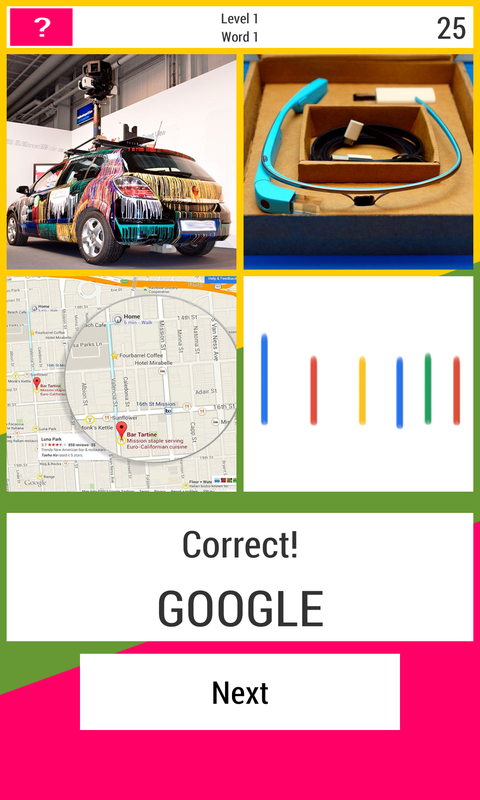 Key features of 4 Pics 1 Brand: - hundreds of brands to guess; - intuitive user interface; - fancy widgets design; - sharing your results with friends. Sounds easy? Actually, it’s harder than you think! Just try!